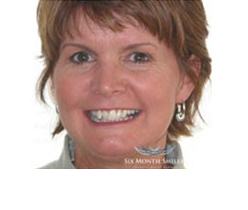 Six Month Smiles is a great choice for adults interested in quick and affordable life-changing cosmetic improvements to their smiles with clear cosmetic brackets and white coloured wires you can have the precision of fixed braces without the embarrassment of the metal “train tracks”. 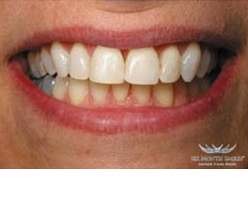 It employs the latest technology in orthodontics, the key components being special nickel titanium wire. 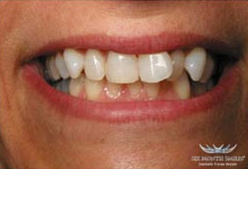 The primary focus of the treatment is to move the teeth that show when you smile. Six Months Smiles aims to correct the most visible teeth you are unhappy with and not make time consuming changes to the way your back teeth meet together. 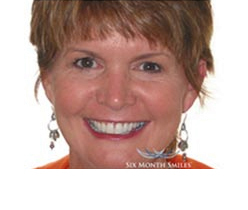 Why Choose Six Months Smiles braces? Discreet and comfortable – the brackets on the brace are clear and the wires are white.